Making the city water quality information transparent and accessible to Sacramento residents in real time. A one-stop data portal design, custom development, and integration into the existing Sitecore website for the City of Sacramento Department of Utilities. 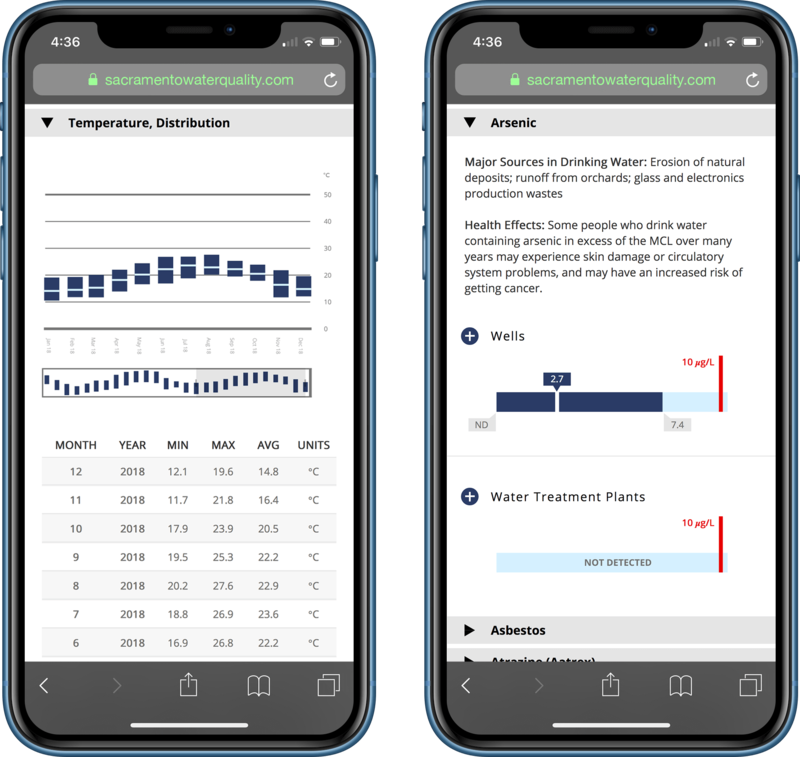 Designed with the city residents and the scientists in mind, and built upon the city’s preexisting publishing platforms—the data portal features an easy to access latest data and information on the drinking water quality. Sacramento residents and businesses are continuously informed with minimum overhead required to publish and manage data. Visit the portal at sacramentowaterquality.com or continue below to learn about our process, applied technologies, and project outcomes. Apart from designing easy-to-understand data visualizations, a major challenge was the management and presentation of data and content retrieved from multiple sources into one interface that would provide unified user experience. A newly designed and developed data portal seamlessly integrated into an existing website using advanced headless content management approach. 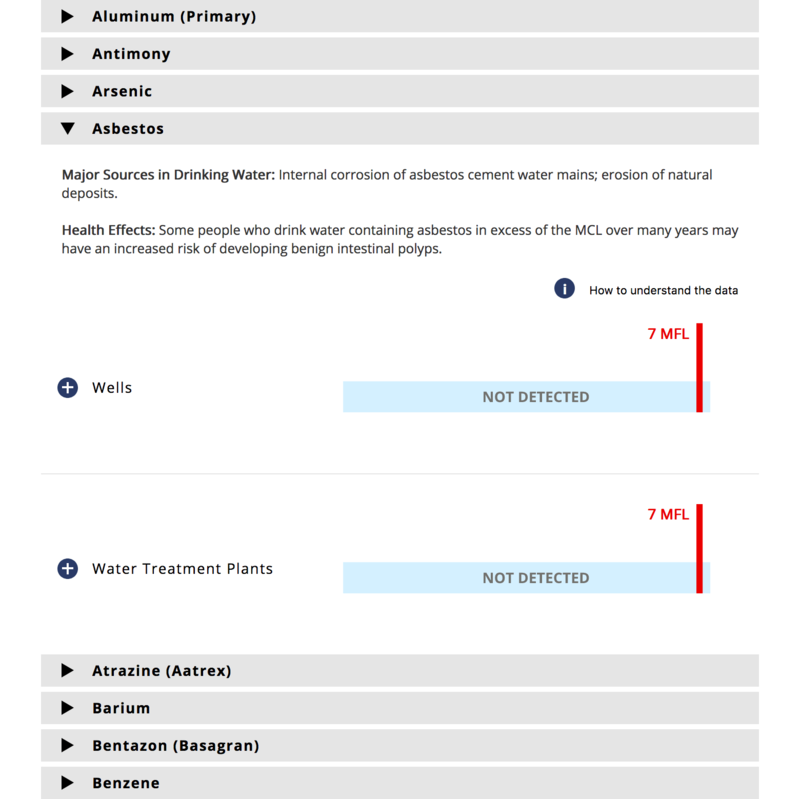 Water quality data is retrieved from the City’s Open Data Portal, and the contextual content and information are managed through the existing Sitecore platform, minimizing training and education efforts associated with moving data to a new platform. For the Customers: A simple user experience providing just the right level of information, meeting different needs of Sacramento area residents and businesses. For the City of Sacramento: Monthly updates and efficient edits on the existing data-sets keep the provided data up-to-date with very little overhead, and dramatically reduce Time to Update (TTU). Data management using existing tools and resources was welcomed as an additional business optimization benefit. For the Project Team: The integration of new features into the existing platform significantly reduced development time and cost, as well as minimized knowledge transfer and training efforts. The City of Sacramento Department of Utilities supports 135,000 customer service connections, with water supplied from the Sacramento and American rivers, as well as groundwater wells. Every drop of water is treated and routinely monitored before distribution to meet public health requirements and aesthetic qualities. Each year, the City’s Department of Utilities produces annual Consumer Confidence Report which provides detailed data and information about the municipal drinking water quality. To provide access from Internet enabled devices, the Department created an online Data Portal. 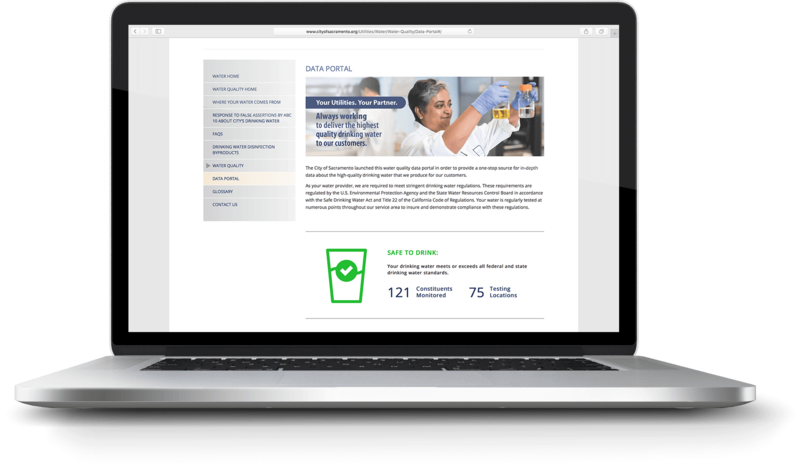 Providing current status of the water quality, educational insights into the process of water treatment, as well as detailed breakdown of over 120 monitored constituents, the new Data Portal is a one-stop destination for understanding water quality in the area. 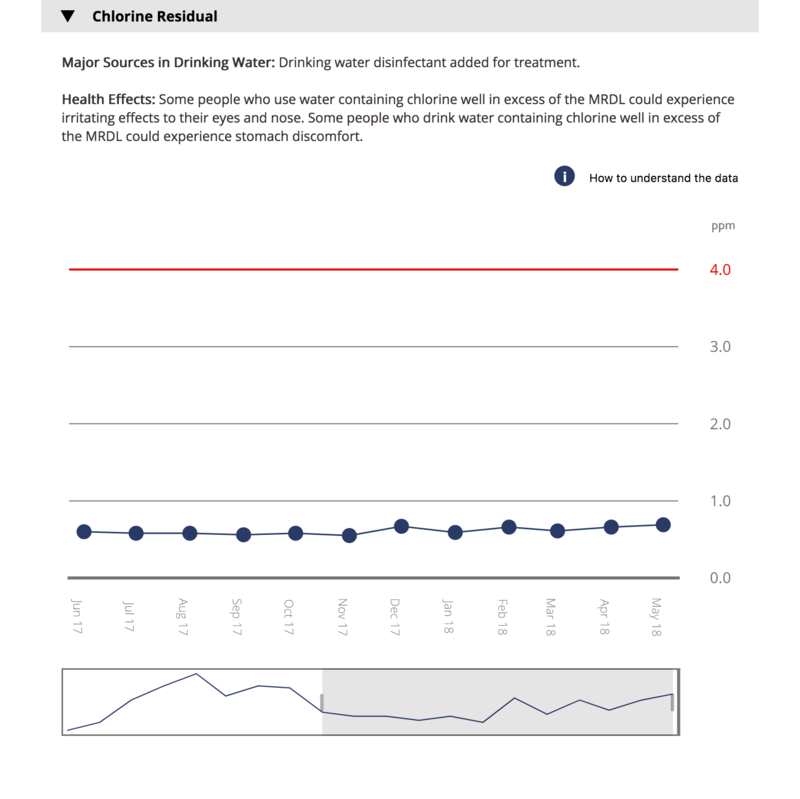 Data portal dashboard displays quick water quality status. In case of any concerns about the safety of the City’s water, apart from issuing drinking water advisories in compliance with the Safe Drinking Water Act, the City can instantaneously change the status on the website too. 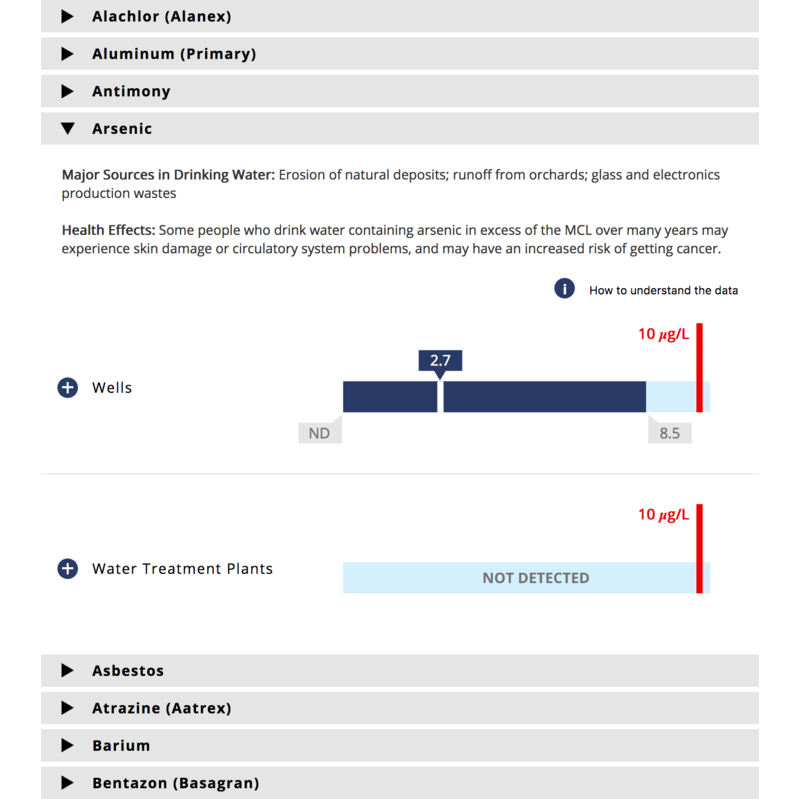 Working closely with the water quality experts and key stakeholders, we identified key challenges in communicating water quality data, as well as potential challenges in updating and maintaining accurate data. To reduce errors in transferring data from one system to another, we store the raw data in the City’s ESRI-based Open Data Portal, and we also keep all other information, such as educational insights and photography, in the existing Sitecore content management platform. This enabled clear separation between content and presentation, and high degree of interface interactivity. Immediate water quality status updates. Automated data filtering options based on the latest dataset update. Automated visualization selection based on the provided dataset. 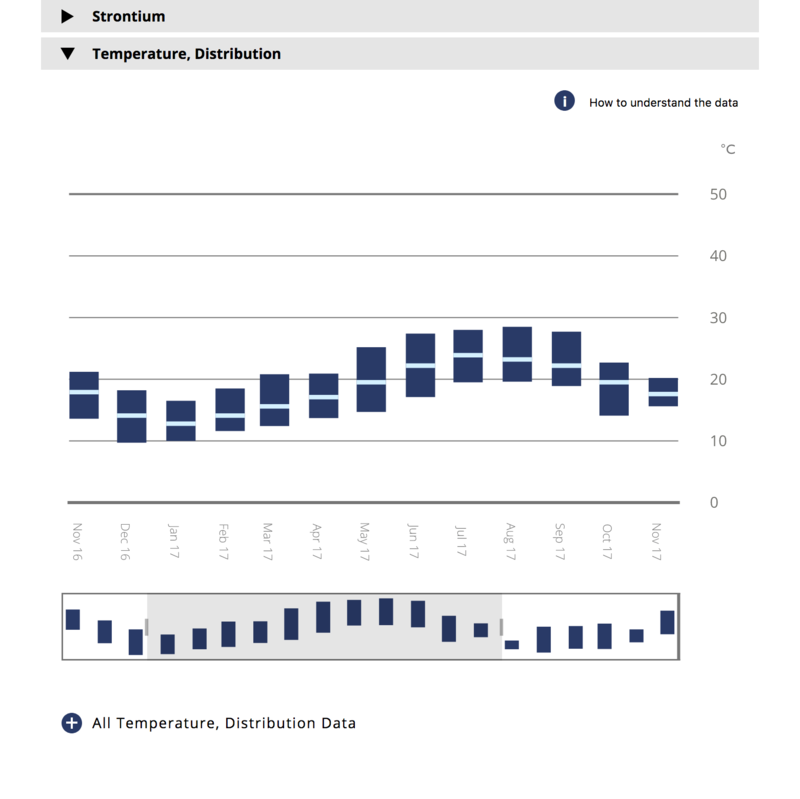 In case of any change in the dataset format, an appropriate visualization will be automatically applied by the system. Headless content delivery (also called decoupled content delivery) is a modern content management approach with a major benefit of faster loading times, improved experience for end-users, and limitless possibilities to reuse content. In essence, a headless content management system provides lean content and data, so the same content can be used for display on multiple different websites or mobile applications from a single source. User interface and functional components are downloaded only once and immediately cached (permanently stored) on the user’s device. This way, only the raw data is downloaded on each website visit. This separation of functionality and data improves performance both on the Web server and the end-user device. The processing power required for each page is barely noticeable when performed by the user’s device, but the demand on the Web server adds up when all pages for all concurrent users are pre-processed before sending. By offloading the data processing to the user’s device, the server can send data to many more concurrent visitors. When all data visualization rendering happens on the user device, the user’s device only needs to download data the user actually requested. This creates major savings in data transfer and reduces customer’s internet services bill too. Simple data visualization for each constituent gives residents peace of mind. Each data visualization is processed on the visitor’s device from the raw data downloaded on demand. Live webpage rendering, real-time data retrieval, and on-demand data visualizations are possible thanks to advanced React technology.